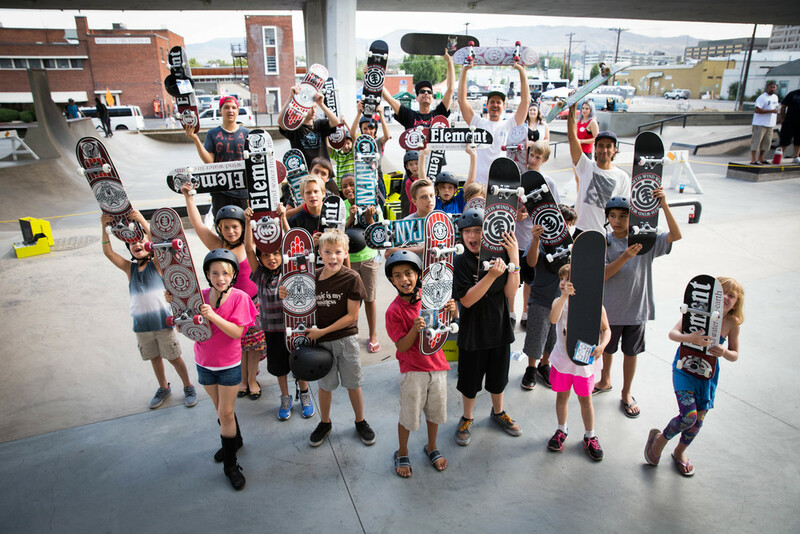 This past weekend we had the honor of holding a giveback event with the Boise Skate Association and the Rescue Mission to give away 25 completes to deserving children in the Boise, Idaho area. Element Pro Chad Tim Tim came out and held a skate clinic for the board recipients. Element has set up a satellite shop at 304 Americana, right across the street from the new Rhodes skate park, so we'll surly be back soon.